In life, stuff happens! And those unpleasant happenings come in all shapes and sizes. Some are mere challenges or obstacles, while others are catastrophic upheavals. The fact is, we all face them and respond differently to their unwelcomed arrival. 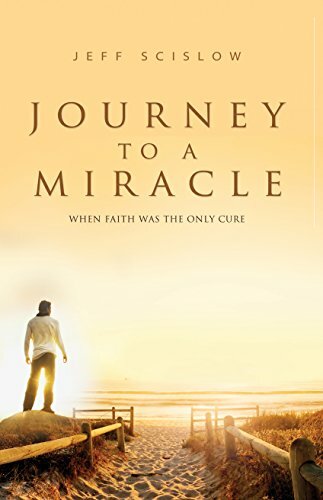 Journey to a Miracle is a powerful testimony, written from the heart, with wisdom and encouragement. It explores the responses that Jeff Scislow took when faced with an onslaught of bizarre occurrences that escalated to where he was diagnosed with an incurable disease. This is a true story of overcoming adversity through faith and determination; one that will inspire you to rise above any challenge you may be facing now or in the future and pave your way to greater successes in life.